International tennis-writing colleagues have joked over the years about their envy regarding what we might euphemistically call the colourful cast of characters with starring roles in the outrageous soap opera that is Australian tennis. Men’s tennis, we should point out - as Sam Stosur did, even before the public airing of the latest and darkest details so far. 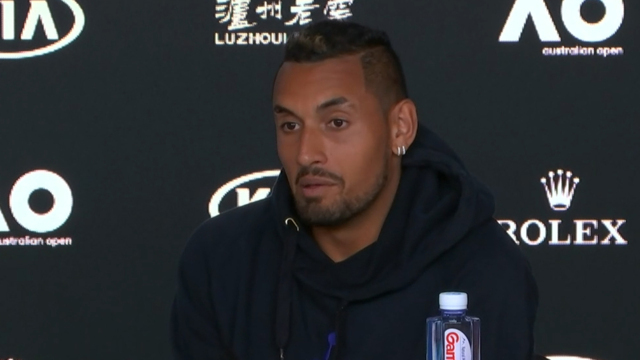 As easy as it has become to ridicule Bernard Tomic, and to wag fingers at Nick Kyrgios for his lack of application and social media pot shots, listening to Hewitt’s allegations of threats and abuse at the hands of Tomic, his former Davis Cup spearhead, was truly shocking. It is unthinkable that the Queenslander will represent Australia again, even after Hewitt’s contentious reign eventually ends. Which is a shame in some respects because that is the type of environment from which Tomic has benefitted in the - admittedly, increasingly distant - past. But there is no way back from here, even in the unlikely event one is wanted. There has been criticism of the fact this has all been played out so publicly, when such ugliness is best confined behind soundproof doors. 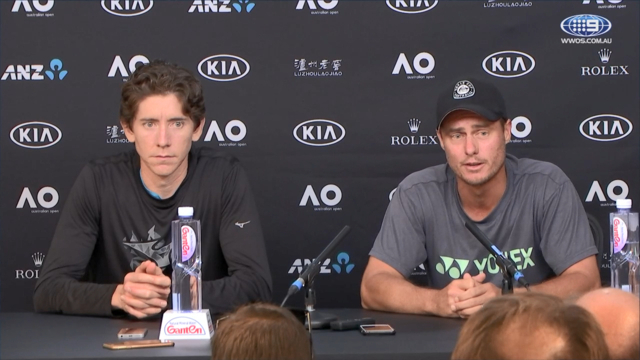 Yet Tomic’s premeditated post-match outburst and the chain of events and criticisms it set in motion could clearly not go unchallenged from Hewitt’s perspective. The man once voted Australia’s most hated sportsman shed that label long ago. The initial, inadequate, “just Bernie being Bernie” response thus made way for what we heard late on Thursday night after the first round doubles exit with John-Patrick Smith. This was ugly. No-one’s laughing any more. Even the New York Times has now jumped onto a tale of domestic dysfunction that is making global headlines and overshadowing the passage of five Australians into the third round for the first time since 2004. Some things just can not be ignored. What and who to believe? Even considering professional differences with the former world No.1 during much of a celebrated career this columnist covered up-close from start to finish, it has to be Hewitt. Tomic has denied to News Corp that he ever threatened Hewitt’s family - as opposed to Hewitt himself, a situation he proudly owns - branding his former mentor on Friday as a liar and a “low person’’ who was never liked by the Australian public. Pot, meet kettle. Whatever goodwill Tomic had earned as a talented teen prodigy with the difficult family circumstances dissipated some time ago. A magnet for disdain has now morphed into something more sinister. Yes, there are legitimate questions to be asked about the Hewitt fiefdom, and even about his wisdom/timing of the initial appointment as Davis Cup captain. There was a strong case for caretaker Wally Masur to stay on for another year to give Hewitt some clear air between retiring - from singles, as it has since been (re)defined - and leaping straight into what was always an inevitable next career. Very late on a night two years ago after a Tomic feature I had written for The Age was posted online - the backstory is a long one for another time - I received a text from the subject that signed off with an emoji. This social media dinosaur waited until the teenager of the house awoke the next morning for confirmation of whether what was on the screen was an endorsement or the threat of a punch in the face. It was a fist pump, apparently, so all was good. In Australian (men’s) tennis, sadly, it isn’t. And it seems like so long since it has been that I can safely tell my international tennis-writing friends that what is no longer a joke is now squarely on us.